Raised panels and a canted front make a significant statement in our Evendale Court Grande Canted Hutch, which is Amish-built to last generations. Substantial in both size and style, your Evendale Court Grande Canted Hutch is a regal reminder of more formal times. A mirrored back, glass side display, and recessed touch lighting provide an elegant home to display your most prized china and collectibles. The large canted buffet offers durable dovetailed drawers on full extension, soft close slides as well as adjustable hardwood shelves. All door hinges are concealed for a formal, streamlined appearance. Shown in Cherry, this elegant monument to fine china can be purchased in a number of wood and stain combinations. 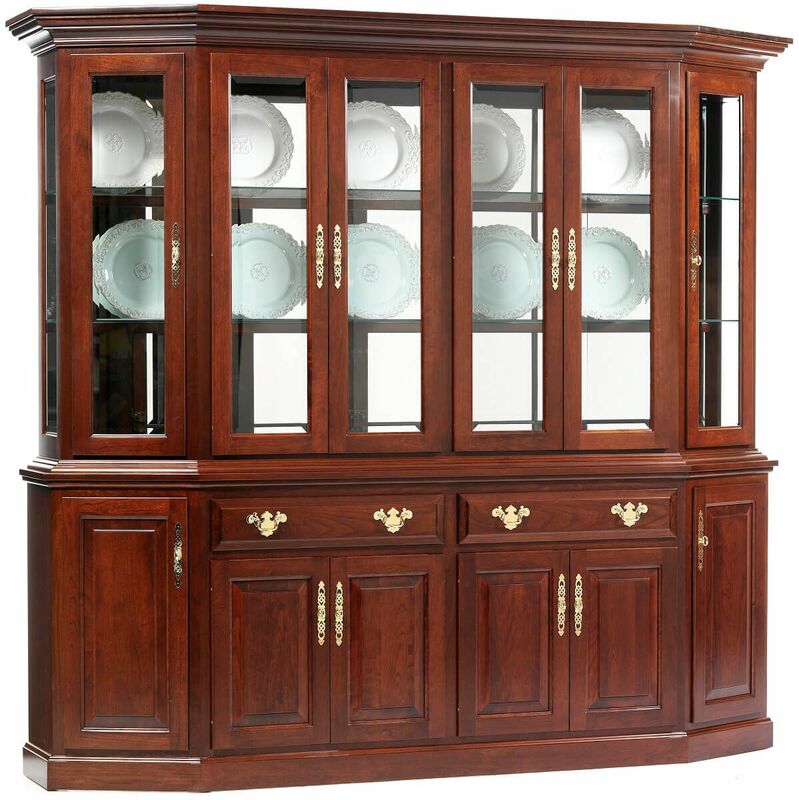 Make your selections and our Amish artisans will handcraft your Evendale Court Grande Canted Hutch just as you like it.